The LMS is a vibrant research environment with around 50 postdocs, approximately two thirds of whom are international. Our postdocs are at the forefront of the cutting-edge research happening within our 36 research groups. For postdoc appreciation week we spoke to our postdoc committee and postdoc champion, Group Head Helena Cocheme. In this article we find out more about postdoc activities and support for postdocs at the Institute. 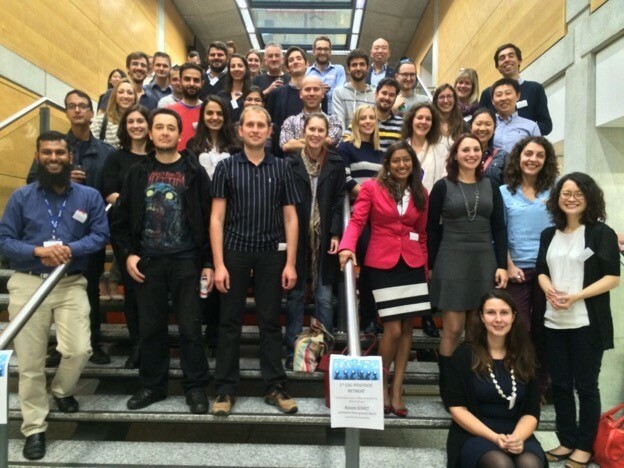 The postdoc committee supports the professional and personal growth of postdocs. 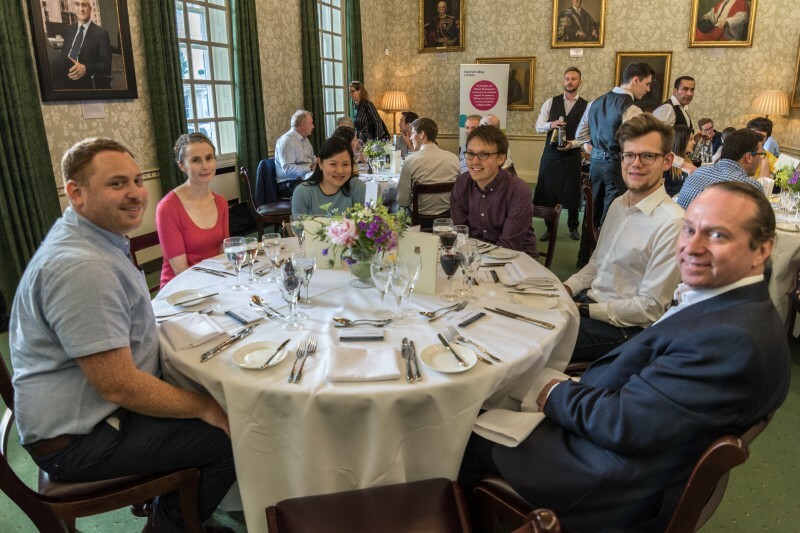 They do this through organising events, activities and networking opportunities and representing the voice of postdocs at internal and external meetings such as Athena SWAN working groups. The committee organise events such as monthly Institute happy hours, coffee’s with seminar speakers and host a seminar speaker every term. They also organise joint events with Imperial postdoc committees such as the recent Hammersmith Careers Fair. The postdoc committee are currently working on the Institute’s annual postdoc retreat which takes place on Wednesday 24 October at Regents University. This year the retreat includes talks from LMS facilities and postdocs, career development talks and a lay abstract writing competition. The top three entries in the lay summary competition will be published in a news piece on our website following the retreat. Postdoc positions are a crucial time in a researcher’s academic career. They are both the bridge and final step before embarking on an independent research career, through research fellowships or permanent academic positions. Alongside the postdoc committee there are additional support and resources within the Institute for postdocs including our mentorship scheme, range of training courses and the Athena SWAN opportunities committee. There is additional support and guidance available through the Imperial College London PFDC to assist postdocs with the next steps in their careers. “I’ve had the pleasure of interacting with postdocs Institute-wide, through my involvement with the Athena SWAN initiative, where postdocs are an important demographic, and also in my role as one of the LMS Postdoc Champions, liaising between our LMS Postdoc Reps and the Postdoc Development Centre at Imperial.